Are you looking to accentuate your interior atmosphere with a brand new renovation? Rich in color and rustic appeal, hardwood is an ideal flooring option that adds an enduring charm to any home. Outfitting your room with hardwood sets a solid foundation for a multitude of other interior design applications. Make your home warmer and more inviting by turning to our flooring specialists for hardwood flooring in Plymouth, MA. At our expansive flooring showroom, we proudly showcase a vast selection of distinctive grains, colors, and textures from many of the industry’s leading brands. No matter what your preference, you are sure to find hardwood flooring options with exceptional beauty and durability. Solid hardwood flooring is one of the most popular materials because its versatility makes it suitable for nearly any design motif. In addition, its ease of maintenance combined with incredible strength and durability make it a desirable material for many home and business owners. We also feature an impressive selection of engineered hardwood flooring for renovations in areas that experience excess moisture. If you’ve have decided that you want hardwood floors, we make the rest of the process easy. From helping you make the perfect selection to adding the finishing touches to your renovation project, we can help you bring your design visions to life in your home or business. Available in a wide variety of options, our luxurious hardwood selections can bring out the untapped beauty of your work or living space. Whether you are renovating a single room or the whole house, we give you access to the products and services you need to get the floor you desire. When you want to revamp your interior design with classic appeal, look no further than our solid hardwood flooring selections. They offer any home an instantly recognizable look that complements nearly any aesthetic. Solid hardwood is a go-to for homeowners who crave a timeless look. It is extremely versatile, which means it can be rustic, contemporary, craftsman, traditional, Victorian, or virtually any other style you have in mind. From rustic oak to gleaming Brazilian cherry hardwood, you can find virtually any species of wood you want in styles that include strip, plank, hand scraped, or wire brushed flooring. Whether you prefer rustic, traditional, or contemporary influences in your décor, our hardwood flooring options are sure to accentuate your existing interior design. Engineered hardwood is the perfect option for homeowners looking to enjoy the luxurious look of wood flooring in areas not well-suited for it. Engineered hardwood retains the versatile nature of real hardwood but also has increased strength and resilience, making it the perfect material for areas that experience moisture buildup. Engineered hardwood flooring is perfect for those who want hardwood throughout the entire house. In some rooms, solid planks are not preferable because they expand and contract due to the amount of moisture and humidity in the air. These expansions and contractions warp the floors over time and can create small spaces for mold and mildew to thrive. However, for moisture-rich rooms like bathrooms, kitchens, and below-grade basements, engineered hardwood flooring looks just as beautiful but doesn’t present the same risks. Made by pressing wood together in layers and placing a thin strip of the desired wood on top, the inner layers of engineered wood floors stabilize the entire plank. This unique composition offers substantial resistance against moisture and traditional wear and tear, making them suitable for any indoor environment. Our professionals are prepared to answer any questions may you have about our flooring options. Allow us to help you choose the engineered or solid hardwood flooring products that best serves your needs. From selection to installation, our knowledgeable team is happy to guide you every step of the way. When it comes to your project, the quality of the floors is not the only thing that determines the quality of the overall results. The installation process also plays a huge role. With our experienced installers at your disposal, you can ensure your new hardwood flooring is just the way you want. Using only most advanced tools of the trade and industry-approved installation techniques, our skilled servicemen work swiftly to lay your new selection perfectly into place. When you put our team to work for you, we make sure to treat your installation with the care and respect it deserves. Our hardwood flooring installation team lays your new flooring into place in a timely manner, while also making sure to protect the rest of your home in the process. Our ultimate goal is to make sure your new floors give you the same joy decades from now as they do the day you have them installed. Ensure your flooring renovation exceeds your expectations by trusting us throughout the entirety of your project. Our amicable sales associates and sensible design experts make sure you get the perfect hardwood flooring options that meet your aesthetic and performance needs. Your home is one of the biggest investments you will make in your lifetime. As such, you deserve to dress it with hardwood flooring options that offer astounding appeal and will continue to perform over the years. As a testament to our commitment to customer satisfaction, we proudly back qualified purchases with a number of exclusive guarantees. Our Ultimate Confidence Guarantee promises that if you aren’t totally satisfied with your 4 or 5 Star-rated floors for any reason within 30 days of your purchase, our contractors will replace them for you without charging any additional labor costs. 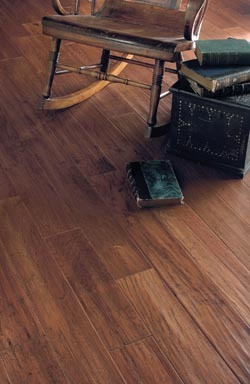 In addition, if you find the same hardwood selections listed somewhere else for a lower price, we’ll pay the difference. On top of our Ultimate Confidence Guarantee that covers the first 30 days of installation, we also feature a lifetime guarantee on our hardwood flooring installation. Our contractors take pride in the work they do. With many years of experience under their belts, they know the proper installation procedures for every type of floor we carry. That’s why we consider it our duty to back up our service with the promise that if you ever have any installation-related issues, we will resolve them at our own expense. Count on us to give you floors you’ll absolutely love. We have the utmost confidence that our workmanship will earn your complete satisfaction. Our guarantees are in place to ensure we’re serving each of our clients’ needs to the best of our abilities. We are committed to earning your complete satisfaction and do everything in our power to exceed your expectations. Contact our specialists for more information about our various hardwood flooring options. We proudly serve homeowners in Plymouth, Duxbury, Kingston, Norwell, Carver, Sandwich, Pembroke, Marshfield, Massachusetts, and surrounding areas.